Founded in 1803, the House of Arthus-Bertrand is one of the gems of French goldsmith and engraving art. Its wide range of jewellery—rings, medals, chains, emblems, decorations and badges—responds to all events in life regardless of the generational divide. 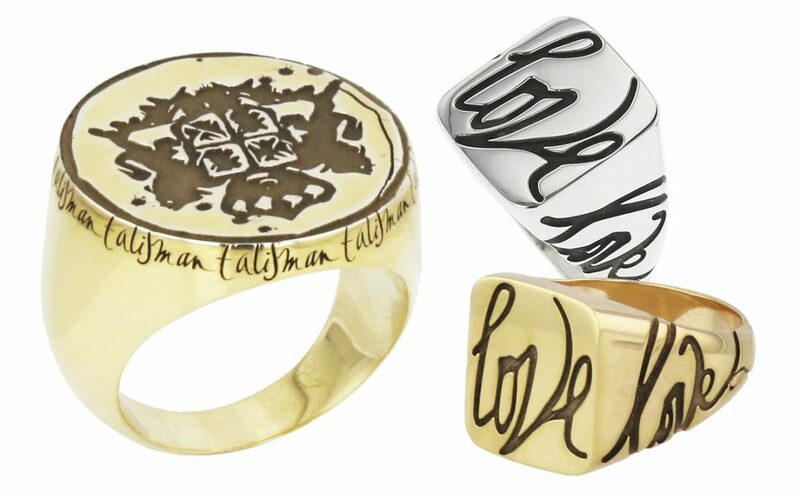 The Maison Arthus-Bertrand opened its archives and asked the imaginative Nicolas Ouchenir, doctor of handwriting, an expert in the art of upstrokes and downstrokes, to create “Talisman”, a new collection of signet rings. The calligrapher, used to work for luxury brands, has developed two models: “Emblem” and “Love”. Like the symbolic strength of Rimbaud who evoked the vowels by their colours, he engraves his eccentric universe into the identity of the jeweller’s. The signet ring “Emblem”, available in silver and gilded silver, carrying an ancient coat of arms, with the word “Talisman” running around the edge… The second model with a rectangular plateau, from €285, is more universal: it pays tribute to the strength of love, with the word “Love” wrapping the finger in a magical calligraphy with special virtues, just like a signature. A true talisman! arthus-bertrand.fr – Tuesday to Saturday from 10.30 a.m. to 6.30 p.m.